Recently product development has become very intriguing career choice in computer science field. People like Steve Jobs, Mark Zuckerberg, Jack Dorsey and Jeff Bezos have become household names and role models to aspiring entrepreneurs, and computing has, to a certain extent, replaced the oil and commodities sectors on Wall Street as a future investment bet. Many big universities have already introduced product development as a separate subject and unsurprisingly these courses are oversubscribed despite high fees. However, having been involved in product development for both consumer and enterprise software and hardware, I am inclined to believe that product development cannot be learnt or taught over a relatively short time period as it is a continuously evolving process to find a solution for identified problems. Based on personal experience, and after researching the thoughts and actions of many product developers from companies such as Facebook, Instagram, Google, Twitter, LinkedIn, eBay etc., the following characteristics have identified that might help product developers to become successful! Passion is about determination – finishing the job with calmness and confidence; it is not shouting and swearing. Passion is the first characteristic everyone expects from a product developer, but I am not sure if all developers understand what passion stands for; some confuse it with obsessive aggression, argumentativeness and impatience, which can have an adverse effect. In my opinion, the passion means a determination to finish what you start, regardless of pain and hurdles, and the work must be carried out with confidence so that you can remain focused, productive and immune to failures. Hunter Walk wrote a very good article and he emphasized the three most important things for product development: love, greed and fear. I must admit that the second one, greed, left the most lasting impact on me, as he rightly mentioned that greed relating to becoming famous and/or rich can potentially bring a focused and non-egoistic approach to developing a product quickly. Use personal grudges to motivate yourself. Another example is in Nick Bilton’s new book Hatching Twitter: Square is the byproduct of proving those people wrong that pushed Jack Dorsey out of Twitter. Don’t get emotionally attached and learn every day. 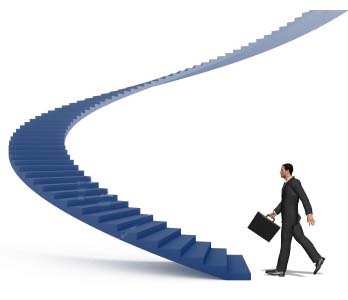 Emotional attachment to a product can become hurdle to its development. Just because you want to shape a certain product in a specific way does not mean that everyone will buy in to your idea. As a product developer, you must be fixated on the problem you are solving but not on the way you choose to solve it i.e. if your product ends up completely different to what you first envisaged but solves the problem, you are winner! You don’t need to be an engineer to build product. Companies from Google to Facebook emphasize that product developers must be engineers. However, there are many examples in the technical world where people from a non-technical background become product developers. Steve Jobs was art school drop put was not a technical guy; he was a salesman at Atari and had vision to shape computer hardware in certain way to make it accessible. Working with the technical skills of Steve Wozniak, he developed the first personal computer and the rest is history. Product development is not just about developing a piece of software and/or hardware; it needs a holistic approach. As well as doing the things you love, you have to manage people, processes and technology. You might have to be a tester one day and project manager or blogger or legal representative another day.For example, a developed product must go through legal checks to ensure that no copyright is infringed. As the product developer you can’t shy away from taking that responsibility and you will need to engage with non-technical people to ensure the whole product is ready. Surround yourself with people who can criticize. Build a team that can identify issues with your product, not “Yes boss” colleagues, who are either charmed with your enthusiasm or have no clue about your product and therefore fail to pinpoint any issues. For example, I suspect that Microsoft’s failure to identify the internet opportunity and Yahoo’s inability to convert their content to context, losing the race to the likes of Facebook and Twitter, is result of this misinformation to their main product developers. Product development is a very time consuming activity and comes with huge responsibility and leadership. However, for greater productivity, and to remain in touch with the ground zero reality, every product manager must take some time out from their routine life and must involve themselves in activities that force them to think outside the box, such as become a volunteer worker at a sports club or charity, go to new places and work with people whose skills don’t match yours. The key is you must work at something which doesn’t fall into your usual professional, social or personal domain and challenges you to step out of your comfort zone and broaden your horizons. The recent pulling out of Blackstone from its bid to acquire Dell, after due diligence, siting the reason that the PC market is not a safe bet to play, raised further eyebrows regarding Dell’s future and added insult to the injury caused by the Dell’s on-going boardroom saga to assume company ownership. This story is making waves in both the financial and technology sectors. Initially, the main contenders were Michael Dell, Blackstone Private Equity Group and veteran venture capitalist Carl Icahn. Dell has joined hands with Microsoft and Silver Lake to buy back company shares at $13.65 and go private, whereas Icahn is offering $14.25 and the best proposal was from Blackstone at around $15/share. But Blackstone has dropped out from the race, mainly due to the tumbling PC market. Experts are also blaming Blackstone’s recent low growth for their pull-out. For the business and technology world this has been in the offing for a long time, but to admirers of Michael Dell, who start his business from his garage as a teenager and singlehandedly turned it into a multibillion dollar business, it is a huge disappointment to see such a public company ownership fight! We have therefore analysed this further and tried to figure out where this beloved company might end up in five years’ time! What went wrong with Dell? The very foundation of Dell as a company was laid on a strong supply chain and ecommerce model, where the company assembled PCs and hardware with very tightly run manufacturing units and sold them online. However, with the evolution of technology and increasing competition, the company somewhat lost its way. And this all reflected in reduced turnover, falling share price and, unfortunately, unrest among shareholders. 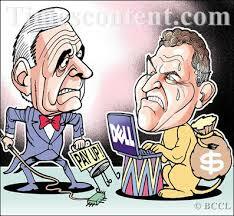 It also triggered a typical power struggle and gave an opportunity to parties with vested interests, including Michael Dell, Blackstone, and Icahn, to come up with separate new plans to reinvigorate the company. Extend end-to-end information technology solutions capabilities. Compete aggressively in emerging markets. Invest for growth in the PC and tablet business. Accelerate delivery of a simplified and enhanced customer experience. and Icahn’s history, and that of private equity and venture capitalists taking over failing companies, the plan would probably be to break up the company by selling both sick (PC business) and money making (Dell Finance) units, in order to appease shareholders with some dividends, pay debt and focus on the potential cash cow i.e. the enterprise business! According to industry pundits, the Icahn offer is more practical as they do consider a number of factors, such as that PC market is dyeing, that Dell is perceived as a PC seller and Dell’s liability and asset ratio to be important. Therefore it would be very difficult for Dell to revive all its businesses units. As well as this, Michael Dell’s proposal to combine the R& D and Enterprise businesses might not be very fit in the short run, as designing a future product or cracking substantial business deals takes time. 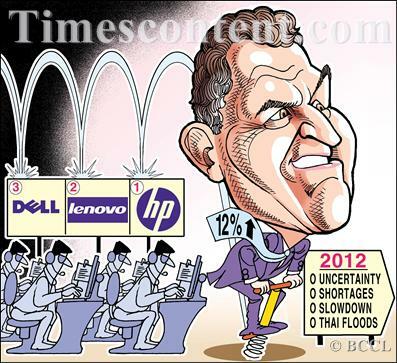 If we look at Michael Dell’s proposal , it is aiming for long-term gain for both the business and shareholders. For example, for the PC unit he is targeting a high profit margin and inroads to emerging markets, and for the enterprise business a more end-to end solution with cloud, data storage, infrastructure setup and security. In the B2C market, Dell should ‘do an Amazon’ i.e. leverage their supply chain and ecommerce capabilities to sell other products e.g. Smartphones, Tablets and TVs. In the enterprise business, a tie-up with Microsoft, recently equipped with Skype, Yammer, SharePoint, BizSpark and Azure, to provide an end-to end cloud based low cost scalable solution. On the R&D side, to beef up next gen products, ‘do a Google’; Google bought Motorola Mobility to strengthen their mobile capabilities and Dell could buy a next generation patent from IBM, HP or Sony, and hire designers and engineers from Apple, Google or Facebook to quickly launch new products ranging from smartphones, to any wearable technology or even 3D printers. For shareholders, the easy buy-in would be the Icahn offer, but I think Michael Dell deserves a chance as he knows business, he is backed by the right people (Microsoft) and his plan is also looking in the right direction. However he might need to quickly react to position the company beyond its image as a PC and server seller, by launching new product lines, tie-ups with some major enterprise players and leveraging the existing supply chain and ecommerce capabilities.